Medicare Advantage payer Clover Health lays off 140 employees as part of a restructuring that will eventually add more staffers with health insurance and clinical backgrounds. The company, which has touted its predictive analytics capabilities since launching in 2012, has raised nearly $1 billion. It operates in seven states including Tennessee, where it plans to open an office in Nashville. Healthcare CRM vendor SymphonyRM expands to Pennsylvania with the opening of its Health AI Center of Excellence in Pittsburgh. Teladoc Health shares rise on the news it will launch its services in Canada. Digital prescription startup Xealth raises $11 million in a funding round led by McKesson Ventures, Novartis, Philips, and ResMed. The company has developed software that enables providers to prescribe apps, devices, and services from their EHRs. It has raised nearly $20 million since launching out of Providence St. Joseph Health (WA) in 2017. Max Hanner (HCTec) joins Pivot Point Consulting as VP of business development. Clarify Health names Imran Qureshi (Health Catalyst) chief data science officer. Medication tracking company Kit Check promotes Doug Zurawski to SVP of clinical strategy and MaryAnn Jensen to VP of strategic marketing; and names Amy Langan (Fresenius Kabi) CMO and Eric Bolling (Cardinal Health) EVP. I interviewed Kit Check co-founder and CEO Kevin MacDonald last December. OSF HealthCare (IL) will use Redox’s interface capabilities to connect its clinical systems with third-party applications. The multi-state Lewis and Clark Information Exchange adds PatientPing’s real-time care alerts and patient utilization details to its HIE services. Inspira Health (NJ) implements Intraprise Health’s wayfinding technology at its three hospitals. United Regional Health Care (TX) will go live on Epic next week. Thirty-five bed Lackey Memorial Hospital (MS) rolls out Evident’s Thrive EHR. Departing FDA Commissioner Scott Gottlieb, MD tweets that the agency will make good on its promise to release thousands of patient safety reports after Kaiser Health News found manufacturers have for years been taking advantage of a secretive, alternate summary reporting program that kept patient safety impacts hidden from public view. The Australian Digital Health Agency will offer qualifying vendors $30,000 to integrate interoperability standards into their clinical software so that providers using different systems can share health information. The incentive is part of the country’s larger effort to do away with paper-based communication and faxes by 2022. 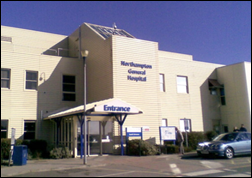 Officials at Northampton General Hospital in England say they are fending off at least 240 data-breach attempts a day, and worry that the problem will only escalate as NHS facilities become paperless. They list phishing email campaigns, unpatched software, and a lack of cybersecurity expertise as their biggest concerns. CynergisTek adds around-the-clock monitoring to its line of cybersecurity, privacy, and compliance services for healthcare. Being distracted by an unrelated conversation with another staff member when she grabbed the wrong drug from the dispensing cabinet. Overriding a cabinet safeguard even though it wasn’t an emergency situation and she hadn’t checked with the hospital pharmacy. Ignoring four warnings or pop-ups about the medication being withdrawn. Not noticing the drug in hand was a powder instead of a liquid. 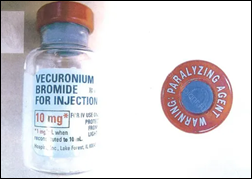 Overlooking a boldfaced warning immediately before injecting the drug. Elsevier Clinical Solutions will exhibit at the Beryl Institute Patient Experience Conference April 3-5 in Dallas. EClinicalWorks and Imprivata will exhibit at the AMGA 2019 Annual Conference March 28-30 in National Harbor, MD. Ensocare will exhibit at the American Case Management Association Conference April 13-17 in Seattle. FormFast and Iatric Systems will exhibit at the Health Connect Partners Spring 2019 conference April 1-3 in Anaheim, CA. Hayes Management Consulting welcomes Nancy-Linn Swain as director of training and engagement, and Bo Zhang as senior financial analyst. HGP advises Clearwave in its significant growth investment from Frontier Capital. Healthwise will exhibit at the EClinicalWorks Enterprise and Urgent Care Summit April 1-3 in Fort Lauderdale, FL. InterSystems releases the latest update of its IRIS data platform featuring enhanced performance and scalability, cloud support, integration capabilities; and enhanced support for Java, Python, and C# development. Intelligent Medical Objects will exhibit at the AORN Global Surgical Conference & Expo April 6-10 in Nashville. The local paper covers Nordic’s move to new, expanded office space. Glytec announces that its Glucommander Outpatient insulin dosing management software is now capable of receiving data from DarioHealth’s smart glucose meter. Lightbeam Health Solutions and AMGA have developed a collaborative to help providers maximize the effectiveness of Medicare Advantage and other value-based contracts. Health Catalyst receives top marks for healthcare analytics in Chilmark Research’s latest report. Cooper University Health Care (NJ) expands its use of Access Passport e-forms to oncology and surgical services. Vail Health (CO) improves care team communication with Spok’s Care Connect solution, and continues to expand its use of the software. The Chartis Group hires Beth Price (North Highland) as director of its oncology solutions practice.